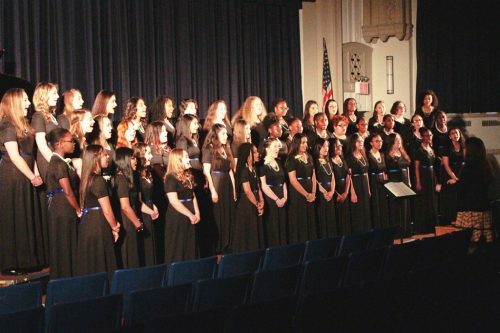 TMLA is the only all-girls school with a Robotics Team in New York State. 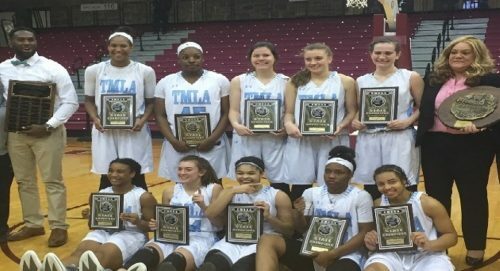 TMLA is one of only two all-girls teams in New York City. TMLA Robotics Team 3204 has turned a fun team program into successful competition at the NYC FIRST Championships. 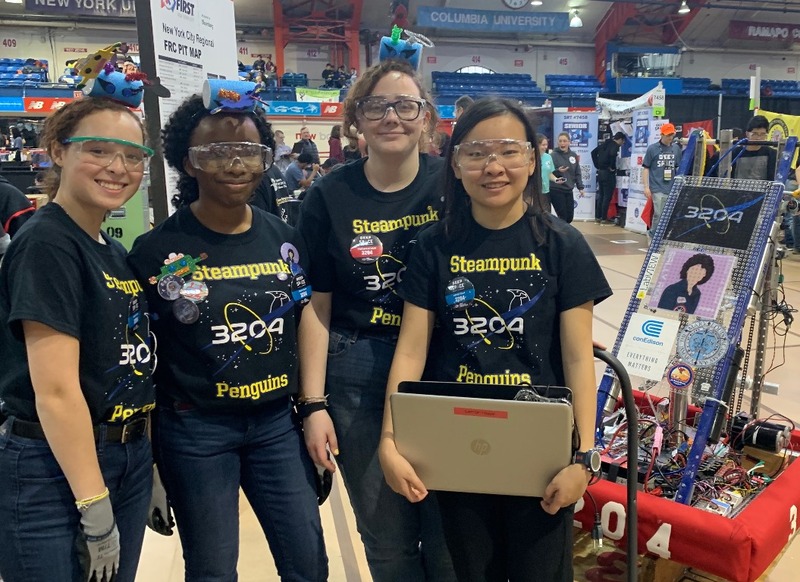 On April 6, 7, 2019 TMLA’s FIRST Robotics team competed in the New York Regional Competition. The Steampunk Penguins (FRC team 3204) won the prestigious FIRST Jack Kamen Imagery Award for incorporating the theme of “Women in Space”. This award celebrates attractiveness in engineering and outstanding visual aesthetic integration of machine and team appearance. The team referenced the recent female NASA recruits as well as “Sally Ride”, who was proudly emblazoned on their robot and team buttons. The judges found our team inspiring and we are proud to accept this honor! 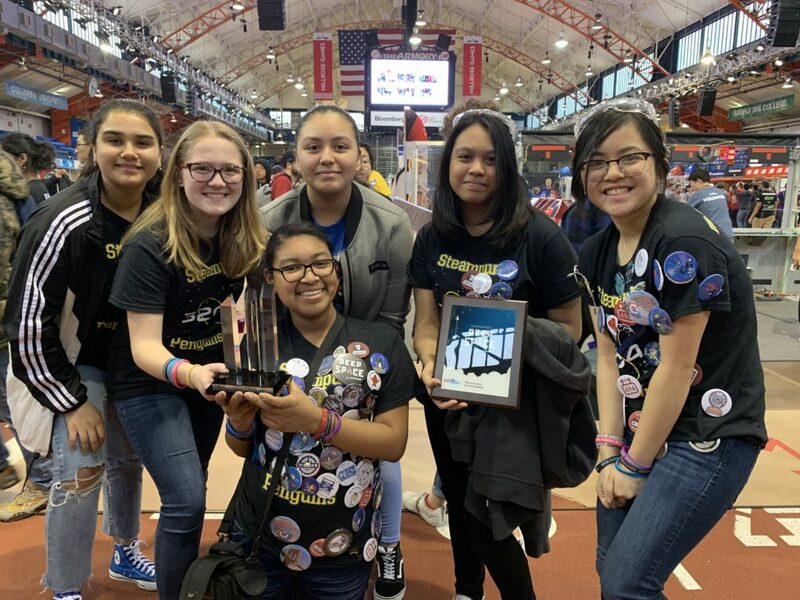 TMLA alumnae Tori Quan ’17, Loriana Donovan ’16, Jessica Morales ‘18, Yesenia Morales ’17 and Tiffany Camusci ’14 were mentors who helped the students build the robot and develop the theme. TMLA Physics and Computer Science teacher Mr. Anthony Gadaleta is Robotics Moderator. Head Mentor for the team is Ms. Kathy Rutherford ’79 BEEE MS BME who in 2009 was the one who encouraged Mary Louis to begin this Robotics program. 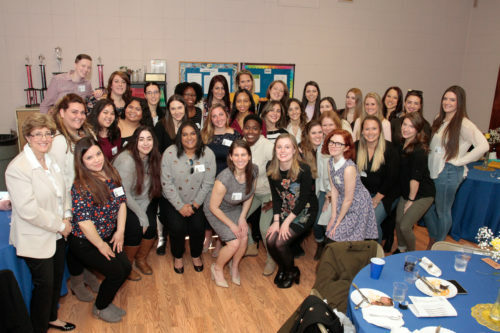 Team TMLA includes young women from all 4 years. Together the students design, build, test, and program the robots, applying real-world math and science concepts, researching challenges facing today’s scientists, and learning critical thinking, team-building, and presentation skills for competitive tournaments. TMLA has competed in eight USFIRST Robotics Competitions. In 2018 as part of TMLA’s development of the robotics program and efforts to extend interest in the field of engineering, TMLA robotics team visited Columbia University’s esteemed Fu Foundation for Engineering Sciences. Robotics team members toured the Plasma Physics Lab and discussed the use of plasma as an alternative energy source for future power plants to generate, all of which was led by a MacArthur Genius Award recipient. 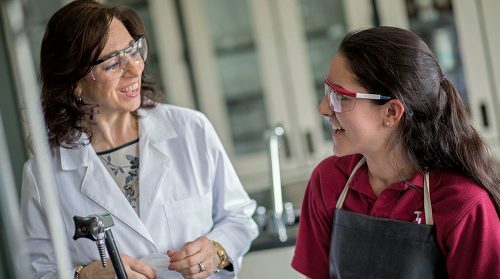 They toured the campus and had a visit from Mary Louis alumna, Dr. Melissa Begg, a Professor of Biostatistics at CUMC and Vice Provost for Educational Programs at Columbia. 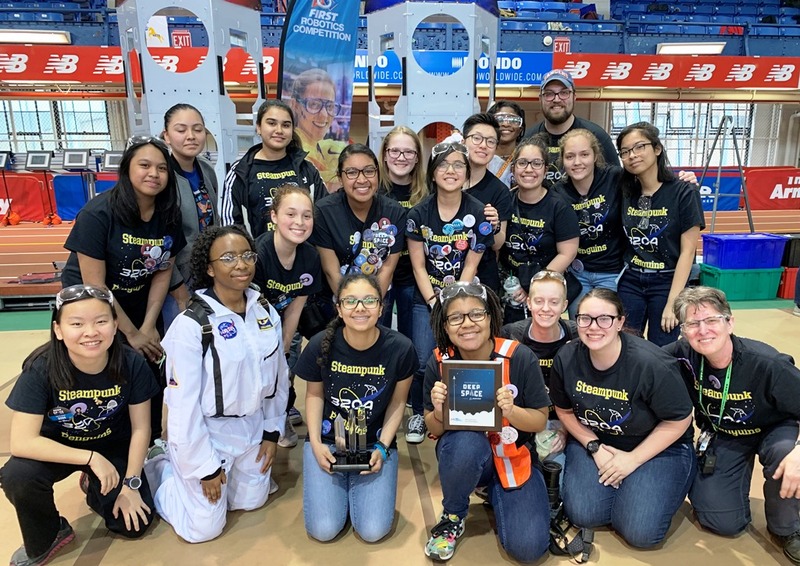 The 2019 robot was named Sally Ride and honored women of NASA Class of 2017. 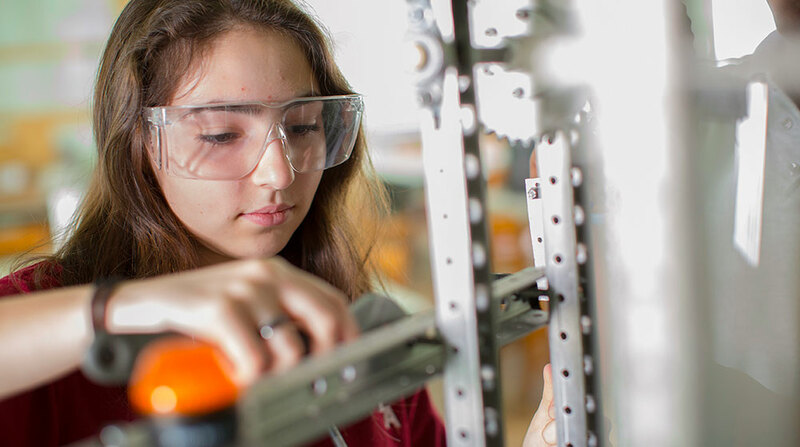 A reflection from Sophomore members of TMLA Robotics Team provides their view of the impact of these women. 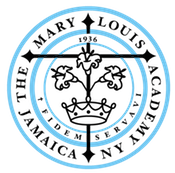 A link to this insightful reflection may be found here. 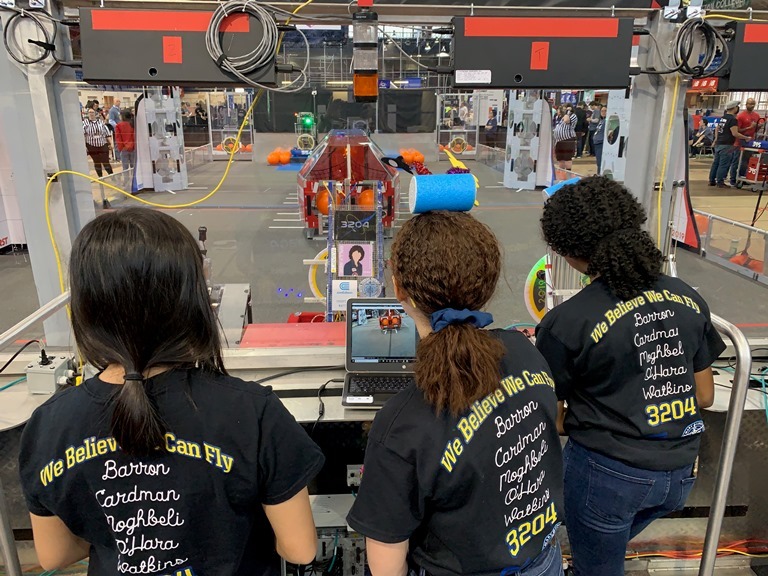 For a look at some former members of TMLA Robotics teams and more photos of 2019 members at work and in competition, click here.